Series of high-end Android phones are now capable of waterproof so people can enjoy pushing their friends into the lake, sea, or photographing with friends or to call in rain without worry. 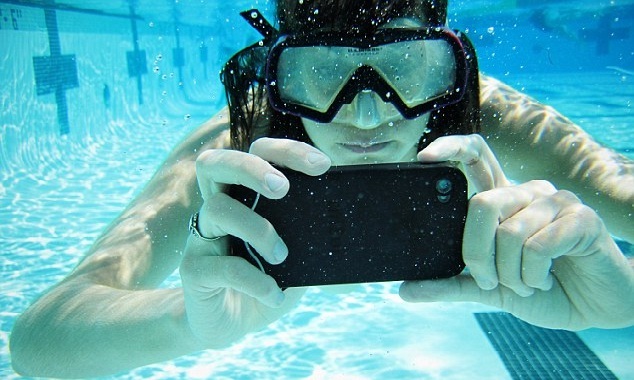 Even the next generation iPhone is also to be waterproof. But in fact there are 3 types of Waterproof you should know: waterproof, water-resistant, water-repellent, of course they are also completely different. This article will help you understand and use your equipment properly. How smart watch or smart phone have water resistant? Waterproof: your device is completely not let water from entering at all. This is the highest level of water resistance. Water-resistant: Water can enter the machine but not harmful in certain conditions. Water-repellent: Water is not easy to reach the components, especially if the device has been treated with a coating or a certain measure. Currently, not only smartphones but most consumer electronic devices today are water-resistant, not waterproof. On official website, Samsung is very careful when writing that their Galaxy S7 is water-resistant. Many Sony’s products also use the word “water-resistant“, there are some devices are marked as waterproof but with a footnote that do not soak device completely into the water intentionally, and you need to cover or close all ports. The new Motorola’s G4 Moto is advertised as water-repellent only. The degree of water resistance of devices is measured by two common scales: ATM or IPxx. In general, most of our smart watch or smart phone have water resistance only at a certain level, you should not soak them too long and too deep in the water, in liquid solution with high salt concentration (sea water) or in hot water. The most common way for manufacturers that they would put one or more of the waterproof seal inside their products. These seals can be made from rubber or a quality waterproof materials. Sony, Samsung, Apple use this solution because it does not make much impact on the appearance of devices, to meet the needs created something just waterproof but still beautiful and delicate. Samsung also apply additional design metal frame sealed to restrict the water. 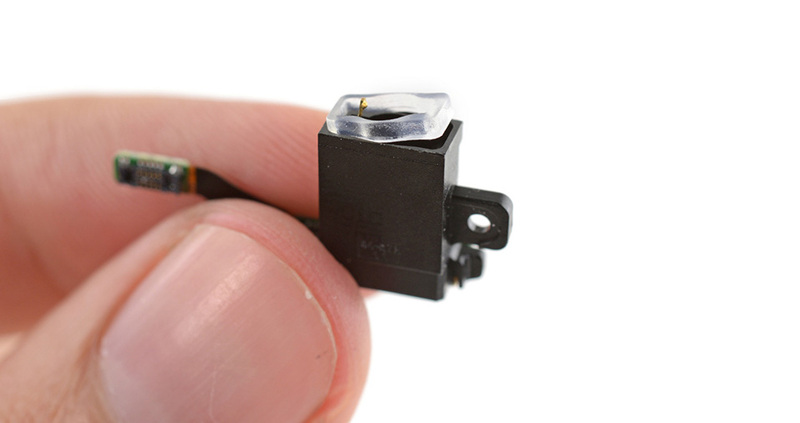 There are many companies that use waterproof seals on their watches and cameras. Recently, many manufacturers use a new technique to apply water resistant: nano coating. A special coating will be overlaid onto motherboard of devices and connection ports. When water meets this coating, it will condense into droplets and flows out rather stick to the circuit that damaged equipment. This is also why some smartphones still have water resistance without the need to cover up the connection port, such as Galaxy S7 or Xperia Z-Series. HZO is one of the companies offering this coating solution. ATM stands for the atmospheres, pressure measurement units. 1 ATM pressure equivalent to override you when you’re on the water. If you dive down 10 meters deep, the pressure again becomes 2 ATM. And 1 more ATM for each 10 meters you dive down. Smart watches and smart bracelets use ATM to indicate their resistance to water. For example, the Pebble Original and Pebble Steel have a water resistant up to 5 ATM, and according Pebble’s explanation, you can still wear watches on hand without fear of failure as long as you do not dive deeper than 50 m below the water level. With Pebble, you can comfortably swim without worry. Meanwhile, the Fitbit Charge is only 1 ATM water resistant, you can only wear it on rain, wash your face or when someone accidentally poured water over you. You can not bring a Fitbit Charge into a lake or sea. There is an extremely important thing that you have to pay attention: many smart watches allows to be brought into the water but you are not to press any buttons because the waterproof seal may start to leak and cause water entering. 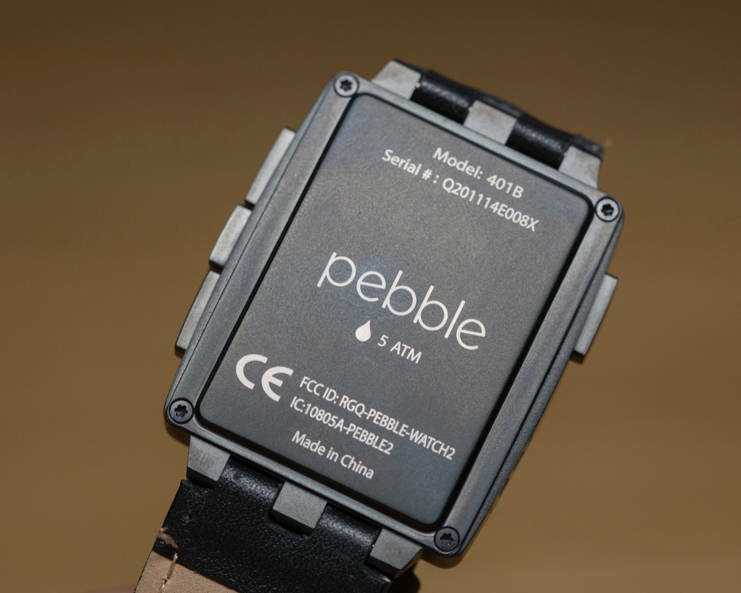 Pebble carefully noted this information on website. Carefully refer to the documentation that came with your product. If you brought your device into the sea, it’s best to wash with fresh water to prevent salt crystallization and causing button jamming or damaging the outer shell of the device. Unlike wearable devices, smartphones have a standard scale by the International Electrotechnical Commission (IEC). This standard is known as International Protection Marking. Smaller specimens rotate slowly on a turntable, larger specimens are tested freehand for a longer time. Smaller specimens are tested from 4 specific angles. Please note that the equipment is marked with a waterproof figure does not mean that it is immune to the smaller level. For example, Samsung Galaxy S7 ad Edge at IP68, which means you can soak product in water for more than 30 minutes at a depth of 1m, but it does not mean the Galaxy S7 will be in no problem in the water when you jet drive water into the 5 or 6, though this situation is rare. This is the reason that number of devices with two levels of IP, for example Xperia IP65 and IP68, Sony Z5 have both because Sony has checked with both standards. The same applies to phone case. Some phone case is advertised as “waterproof” but in fact they are only reaching a maximum IP68 only. Always close water proof seals or buttons. If your device has any water proof seals, buttons, or covers, always remember to close them before jumping into water. Some devices allow you to press some specific buttons, please refer to the manual. Most water proof/resistant devices allow you to bring into sea water. But should you do that? Absolutely no. All IP standard tests are performed with normal water, not with sea water. The sand and sea water soluble salts which can cause damage to your devices. But if you brought your devices into sea water, always remember to wash your devices with clean water afterwards.